Stennis Space Center, located in Hancock County, Mississippi, is America’s largest rocket engine testing facility and home to over 20 federal agencies from the Navy to special military operations. 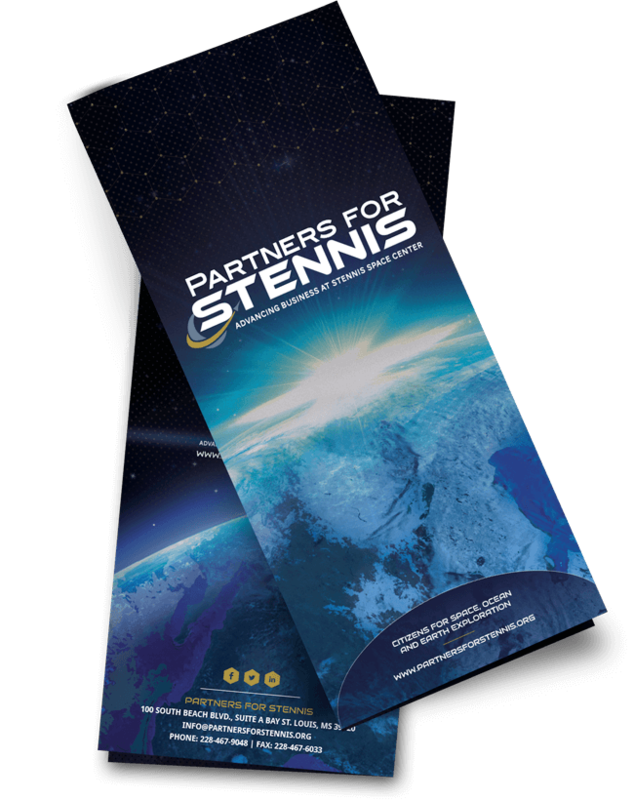 Partners for Stennis was formed to bring individuals and regional businesses together to develop and execute programs that would support the economic, technical and academic growth at Stennis. 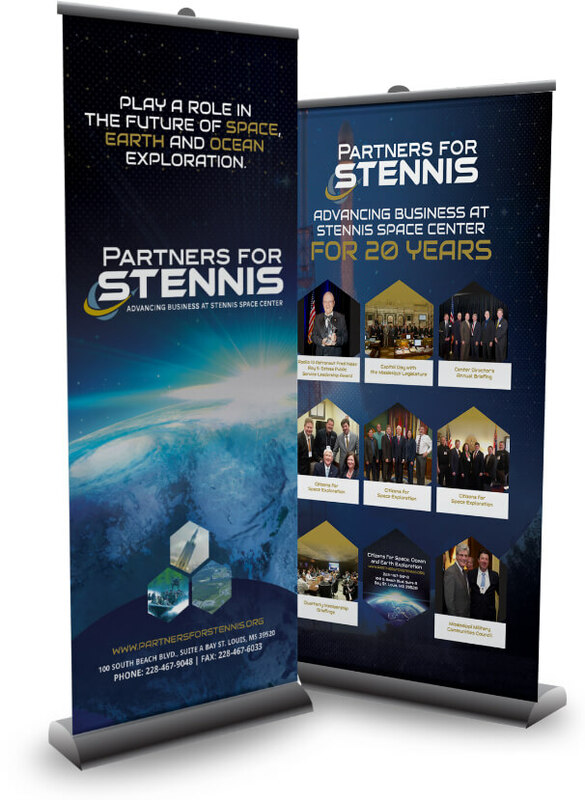 The organization, while very successful in its lobbying and grass-root marketing efforts, felt marketing needed to be updated to accurately reflect the cutting-edge work being done at Stennis Space Center. The Focus Group was engaged to update the existing branding, evaluate current marketing efforts and create new materials that would increase awareness of the organization and grow the group’s base of members and sponsors. By meeting with board members and key stakeholders to understand important nuances about the organization and the work being done at Stennis, we were able to develop a new logo and tagline that clearly communicated the organization’s mission. We used dynamic design to convey the organization’s support for the aerospace industry, its technology and innovation. We created a comprehensive online presence by streamlining the existing website to house program, event and sponsorship opportunities, a member database and business resources in a single hub. The new website was also optimized for SEO with updated content and cross-promoted on social media platforms. New collateral and promotional materials were created to highlight the organization’s important mission, successful programs and advocacy efforts. 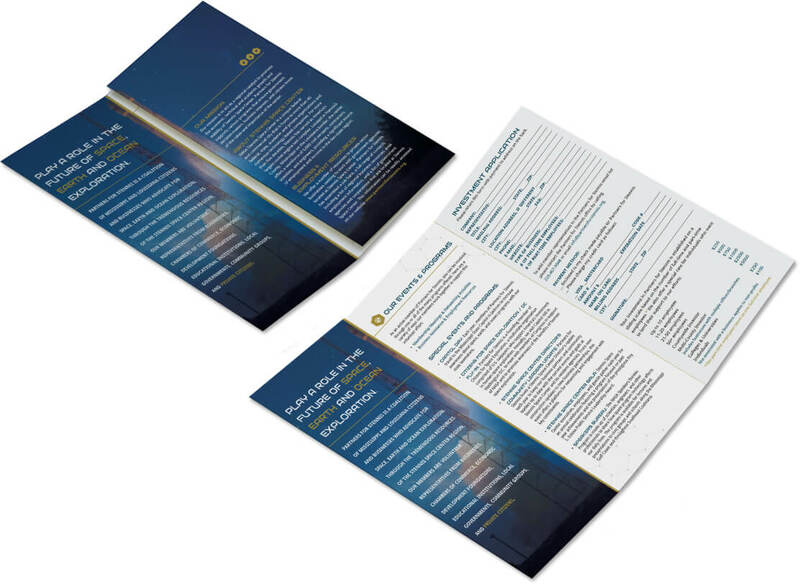 A tri-fold brochure was developed for public outreach and important member and sponsor recruitment. The new branding was continued through promotional materials, such as banner stands, for use at trade shows and events. The new brand was launched in 2015 and received a tremendous response from the Partners’ members and the community. The organization continues to grow and be a vital part of supporting the important activities at Stennis Space Center and the surrounding aerospace corridor.